So what is Insta Profit hack? What if I told you that there is a real way to make money online, with real owners and 100% legit. 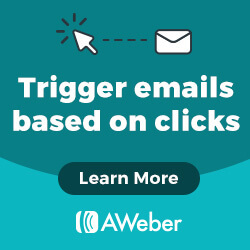 Are you looking for information about Insta Profit Hack or did you get an invitation via email like me to check out this “new” hack that is supposedly making people a lot of cash? I received the following email and I was just so curious I clicked on the link provided. Your access code has been verified and approved – it’s good for 60 minutes from opening this email. If this page works for you, you’re set. This is what finally made the difference for me – so I’m thrilled to be sharing it with you today. As I clicked on the link, I was redirected to this very plain sales page! No video, no images, just text! Whoever created this landing page was in a hurry and did not put much effort into it! That is one of the worst sales pages I have seen in a long time! It’s being sold on ClickBank, but this one actually doesn’t feel like the rest of the systems from ClickBank I have reviewed in the past. This one is very simplistic. Anyway, let’s find out what it’s all about shall we? This is how I make money online. It is very “Newbie” friendly and FREE to join – NO credit card is required! The supposed creator of this system is “Joseph Paul”. He says that he was able to make money with Instagram, and according to his testimonial (the only image from the sales page) with his “hack” that he only charges $7 you should be able to make over $1,630 within 4 days just like he did! OK this sales page is way too short, and there is nothing in it proving anything that is being said, so let’s see what we can find out about it. First, let’s look at the testimonial. “David Legg” was able to generate $1,630 in just 4 days right? Found this guy on https://alumnius.net. His real name is Jamie Calder. And he has nothing to do with this system! So the only “testimonial” we have on the page is FAKE. The sales page itself is pretty much just a one-page sales pitch for a $7 system. Are you sick of all these FAKE systems? Click on the link below and find out how I am making money online! So basically what you get for $7 are some PDFs documents. I actually did not expect much more than that for that price. However, as I took a closer look at the documents, I figured there was something off, just take a look. I looked at that and it seemed out of place, there was something fishy about it. Why would a training document have an “Insert your Upsell Offer URL”? Then I figured it out!!!! This system/product is nothing more than a PLR. A “Private Label Right” product. And they didn’t even bother either entering a URL where they were supposed to or they didn’t know how to do it!!! This is NOT something that “Joseph Paul” has created and made a ton of money with it! I call B.S. on this one! And these are just a few of the multiple websites you can get a “resell right” from. For $7 you will get these “PLR” PDF documents that talk about Instagram and how to monetize it. These are the documents that are related to Instagram that you will get if you buy it. -Modern Instagram Marketing Training (61 pages) – This is the document shown in the image above. And two other “Bonus” product (Amazon and E-commerce) that I did not even bother to look at. I cannot really qualify the training since I only browsed through the summary of the “training”. It looked to be okay information and does have some tips about Instagram, and some guidance on how to become “social” and monetize this platform. READ Cash Formula Review - Scam or make $5,000 per day? Here is an overview of the table of content. In summary, you will get some decent product for the $7 price tag. You may end up creating some traffic to your Instagram account, BUT don’t expect to start making $3,784 per week with it. In order to really succeed with social media (Instagram, Facebook, Pinterest, etc. ), it requires that you provide something worthwhile on your page. This requires more than 15 minutes per day of work, I will tell you that much. There are no shortcuts, no magic systems to do this. You will have to put in the required effort to succeed. Cheap. It’s only $7 and you will get the same PLR as if you were registered to one of the PLR database websites out there without anything changed in it, not even the “links” have been altered. Fake Owner – Who the heck is Joseph Paul? He’s not even real! Fake Testimonies – Images from someone not related to this product as a “testimony” does not cut it! Very hyped up sales page with no actual proof of any money making from all the examples given. PLRs (all of the documents, not just one) are readily available for anyone who registers in any PLR distributing websites for a small fee per month. Whoever is promoting this one has not even taken the time to personalize it to its own benefit. It was done fast and without even taking the time to personalize it to its own. No video, just PDF documents. Improbable income claim on the sales page just to get you to buy the product and hopefully not request a refund so that they pocket the money for something that they didn’t even create. Even though you will get some training, it really does not work as advertised. The only thing real about this sales page is that it’s about Instagram, and you will get PDF documents pertaining to Instagram and how to create a sales funnel within Instagram. The reason they use the “Profit Hack” claim is to get you to buy the product and nothing more. And like I already have proven, there is nothing from any “Joseph Paul” here. The PDFs have been created to be a Private Label Right product right from the start. Also, they could not sell this for more than $7, if it’s even worth that much. If you want some basic training on Instagram, you will be able to find better products on places like Udemy, for the same price and sometimes even for free. Now to answer the title of my article, Is it a scam? Well, the definition of an online scam is a “fraudulent online scheme”, meaning that someone would take some monetary value from you without your consent. So I guess we cannot call it a “Scam” since you do have the option of getting your money back from ClickBank. I will call it what it is, it’s VERY CHEAP AND VERY LOW QUALITY and it’s not worth wasting your time with it! I don’t recommend it and give it both thumbs down! I have been working my way up in the online world for quite some time, probably over 8 or 9 years now. And I have bought these kinds of systems too many times to count only to get frustrated and disappointed every time. Until one day, in January 2016, I stumbled on a website just like this one who was reviewing a system I had doubts about. He was recommending a platform called Wealthy Affiliate. I quickly realized that this one was REAL. With real owners and real members interacting with each other. 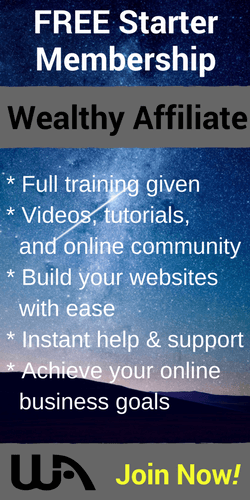 Wealthy Affiliate is a training platform to create an online business using affiliate marketing. You will get step by step training on how to become a successful online business owner. There is nothing to buy, no recruiting. Affiliate Marketing is a way to make money promoting other people’s product, and when someone (that you have referred to the seller) buys the product, you get a hefty commission, sometimes as high as 75% of the sale! You can start today with Wealthy Affiliate for FREE! No credit card or commitment from your part. You will have full access to the whole system for 7 days, and they will provide you with 2 free websites to get started (and these are yours to keep)! After 7 days, you will still have access to the platform as a starter member and you can continue your training for the first 10 video lessons and continue building your money-making website. Just click on the button below and create your free account by only entering your email address and creating a username. That’s it! 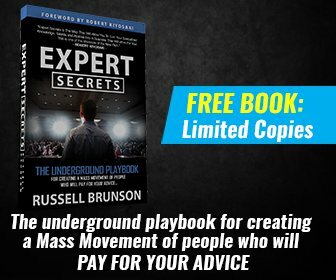 If you believe that this is for you and that you are willing to put in the necessary effort to succeed with an online business, I wrote an e-book and you can have it for FREE as well. Work Online From Home And Make REAL Money! If you join today, you will get all three and will also offer you my personal support from within the platform! Easy Cash Club Review – Can you really make $2K per day? I must commend you for taking your time to share review because you must have done a lot of research. I never knew about insta profit hack before until I read this article. Actually, it is expensive and it’s features to me are not really convincing. By seeing that you don’t recommend it gave me the assurance that truly it’s not worth investing money and time. Thanks for this eye opener! Hi and thanks for taking the time to comment on my article. I do not recommend this system for the obvious reasons I have n=enumerated in my article. I want to expose these systems for what they really are! I wish you success in your endeavors!